Peachy Airport Parking is the most convenient and cost-effective way for the modern business traveler to park. As a member of our corporate rewards program you are eligible for Premium Rates (list below). In addition you can also earn additional travel points through our Peachy Rewards Program. Thank You For Choosing Peachy Airport Parking! 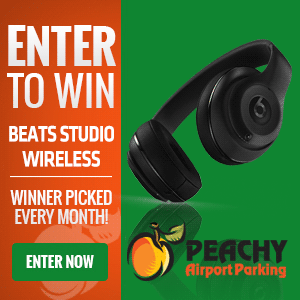 We accept all unexpired competitor airport parking coupons, and Peachy coupons never expire!